In the NBA, there’s nothing more important than being first. Recently, and for the first time in its history, the NBA began allowing its teams to display the sponsorship of one corporation on its jerseys. With only 30 teams in the NBA and only one company per team, that’s precious real estate. 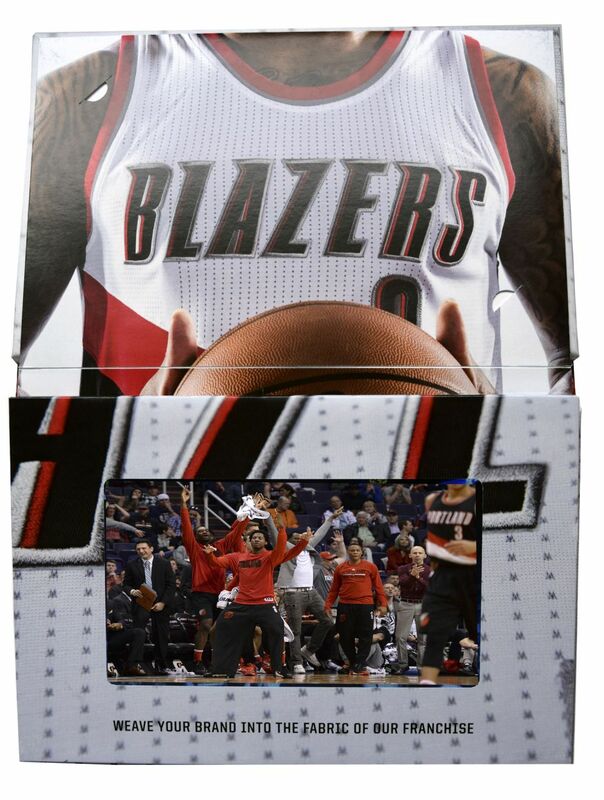 The Portland Trail Blazers wanted to make sure they chose the right company to represent their NBA brand, so they were looking for a very special device to communicate with their prospective sponsors. For an NBA team, this decision is a big deal, and the Trail Blazers needed a presentation piece that could convey that. Amerchip created an unforgettable Video in Print™ Book. 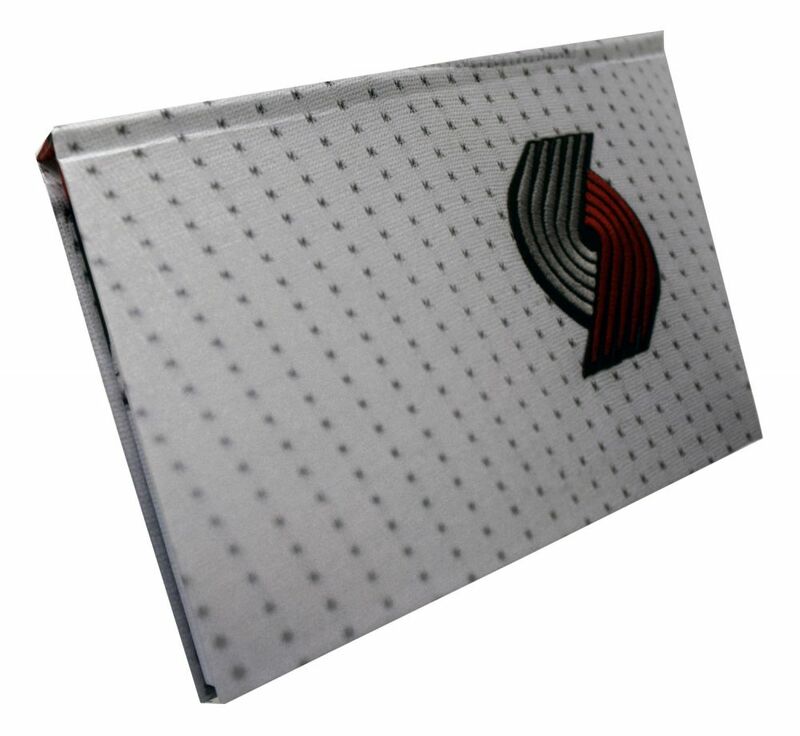 The cover shows a close-up of the design of a Trailblazers jersey, then open the cover and crystal clear video clips begin to play on a full seven-inch screen. Through the clear audio player embedded in the book, players commentators, coaches, and fans convey how much excitement surrounds this team and what a powerful athletic brand the Trailblazers have become. 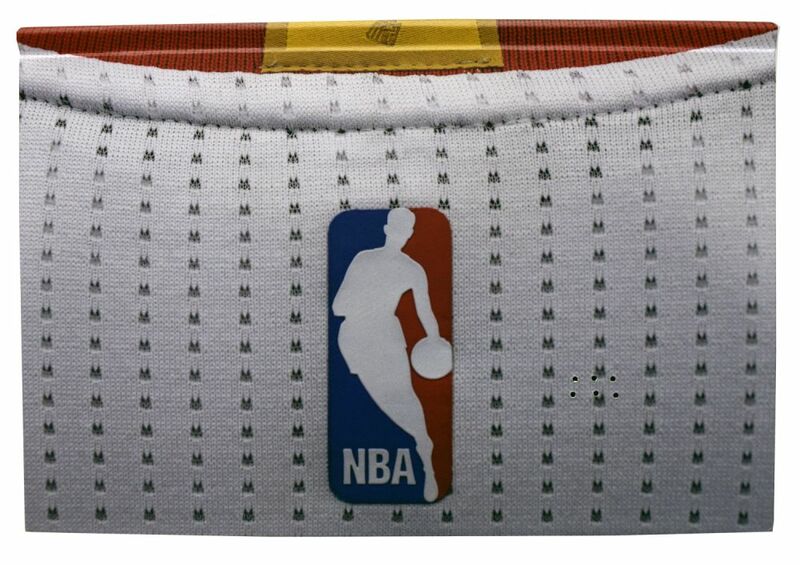 The inside cover gives corporate sponsors a look at exactly where their logo might go, right on the chest of an NBA player. The book is an attention getting winner.